Dermaroller8. Use the Dermaroller8 1-2 times a week for the first 2-3 weeks, and then slowly increase the frequency to no more than 3 times a week depending on the reaction of your skin. Clean the Dermaroller8 by applying 2-3 sprays of Rollercleaner8 onto the roller head. Wave the roller in the air until it is dry. Clean your skin with your favourite cleansers and finish off by applying 1½ pump of Cleanser8 onto a moist cotton pad. Select a suitable skin area, such as your forehead, cheek, nose or upper lip, and roll systematically with the Dermaroller8 about 4-6 times vertically, horizontally and diagonally. Apply smooth, gentle pressure. Treatment should not feel painful but more like gentle pins and needles. There should be no other effects apart from a slight redness of the skin. You can roll as close to your eyes and lips as you like, but be careful as your skin is thinner and more sensitive in these areas. The treatment may also be used successfully on your neck, chest, the back of your hands, etc. Apply 1½ pump of Serum8 in a smooth, thin layer. again, before applying other skin-care products. When your skin is dry, you may apply makeup. Finally, you should clean the Dermaroller8. You may start by rinsing it under running hot water and then finish off by applying 2-3 sprays of Rollercleaner8. The hot-water rinse can be left out. Wave the roller in the air until it is dry. Keep it in the protective packaging until your next treatment. Don’t use a Dermaroller8 with a damaged roller head it may damage your skin. 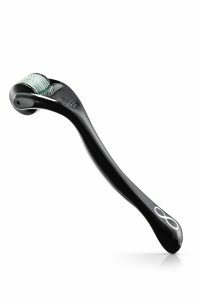 The Dermaroller8 is for personal use only. The Dermaroller8 may be used 50-60 times (normal use) as the needles tend to become dull over time. 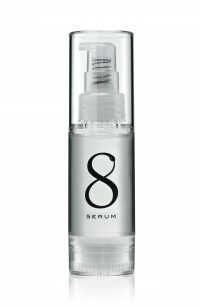 If used as directed, the other products in the SERUM8 Skincare System can be used for the same number of treatments. Always be aware of skin reactions after treatment. Start by rolling gently and carefully and wait a few days before repeating. If there are no problems, you can repeat treatment every 2-3 days. Following this procedure will let you experience exactly how your skin reacts to treatment. Stop treatment immediately in case of any adverse reactions and seek medical attention. SERUM8 Skincare System should not be used if you have a skin disease. 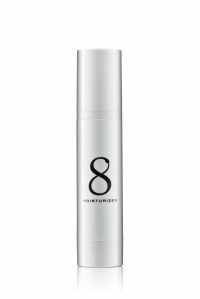 SERUM8 always recommend using sunscreen with minimum SPF 15 when you stay in the sun.